Garage/punk label Dirtnap Records is releasing a new label sampler with a previously unreleased song from Montreal’s Sonic Avenues, “New Vogues,” as well as previously released material from The Marked Men, Radioactivity, Mind Spiders, Missing Monuments, Bad Sports, Sugar Stems and more. A full stream of the sampler premieres in this post, and you can listen below. 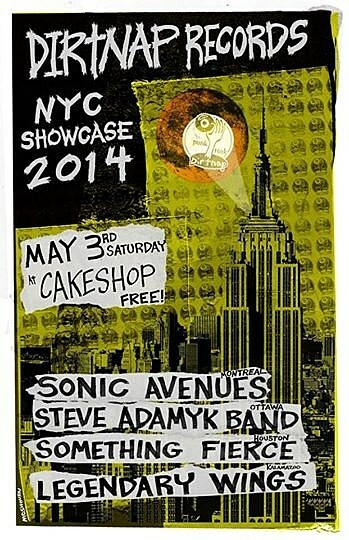 Dirtnap is also throwing a showcase in NYC on May 3 at Cake Shop with Sonic Avenues, Michigan’s Legendary Wings, Houston’s Something Fierce and Ottowa’s Steve Adamyk Band. That show is totally FREE. More details on the flyer below. 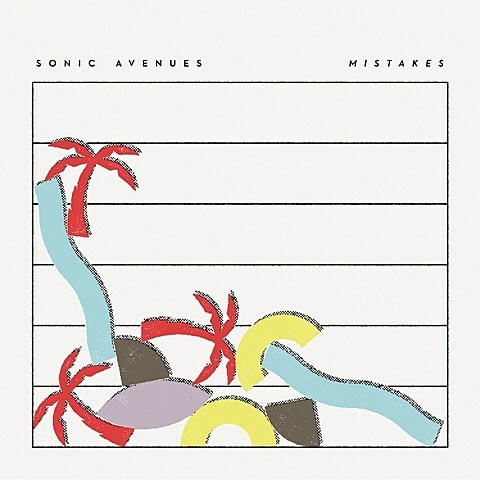 The showcase is one of two NYC stops on Sonic Avenues‘ upcoming tour in support of their new album, Mistakes, due out on April 15. In addition to “New Vogues” from the Dirtnap sampler, you can get a taste of that new album from two other tracks, “In Your Head” and “Automatic,” both streaming below. 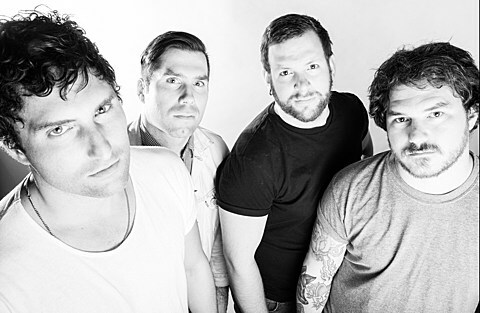 The songs are definitely of the scrappy garage punk style the label’s become known for, but like labelmates The Marked Men, these are punk songs with a real strong pop side (though definitely not “pop punk”). Check them out. Sonic Avenues’ tour also hits Shea Stadium (5/2) the day before the Cake Shop show. Other bands TBA. They also play the Dirtnap showcase at Ottawa Explosion (6/12-15) with labelmates The Marked Men, Steve Adamyk Band, and Voicemail.